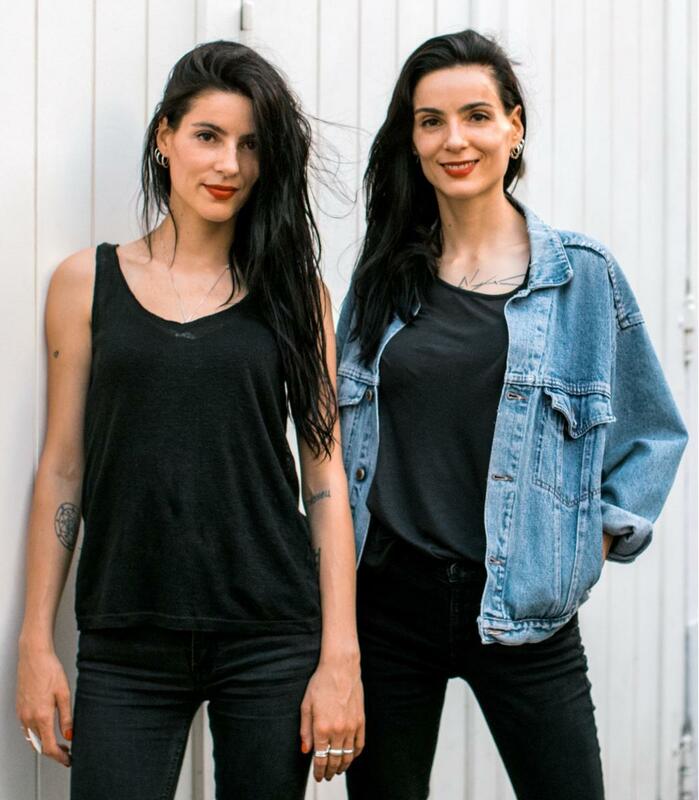 MSc in Entrepreneurship & Innovation graduate, Judith POUZIN in collaboration with her twin sister Maud launch Manifeste011 to bring vegan and sustainable fashion to the world. Written on 26 Sep 2017. Why have you created Manifeste011? When it comes to fashion, we made a very simple observation: at the moment there aren't any shops selling responsible and vegan clothes in Paris. We have always loved fashion and like many people, bought our clothes in mainstream "fast fashion" stores. We considered it an easy and cheap way to fill our wardrobe. However, after watching the documentary The True Cost there was no turning back. Awareness of the fashion industry’s impact on the environment, human rights and overall society was a real shifting point and a shock for us. We had to do something. We started with the belief that anyone can be interested in buying cruelty-free fashion. The consumer appetite for eco-conscious fashion is growing. It is a major concern that goes far beyond the vegan community. And because we found it difficult to buy fashion that we really like, that is also ethical and environmentally sound, we didn’t want people to choose between their style and their ethical beliefs. We created Manifeste011, to make vegan and sustainable fashion cool and accessible to all. How has the MSc in Entrepreneurship & Innovation programme prepared you in launching your business? Some of the best advice we received was from Jean-Michel Ledru who runs the EDHEC Young Entrepreneurs (EYE) incubator. He helped us to define our project and challenged us to think differently. We still collaborate and he keeps inspiring us. So far our greatest achievement is the success of our crowdfunding campaign. We have reached 108% of our objective. We achieved this feat despite the campaign running during summer, which is not often the easiest period for this type of operation. We are also extremely proud and grateful for the impressive media coverage we received in major and independent publications and the growing number of followers on our Facebook and Instagram and for all of the incredible messages of support. We have just unveiled our first series of fashion pics which received some great feedback from fashion journalists, the associated brands and the vegan community. Several brands have already contacted us about collaborating. This is not only extremely encouraging and heart-warming, it also proves that there is a real and flourishing interest for our project and for cruelty-free fashion. Last but not least, we have found a perfect location for our future store. It happened by word of mouth and much faster than we ever thought. It is still a secret so we cannot tell you more for now, but we’ll keep you updated on our social media channels! What were the biggest initial hurdles? It is a bit early to say as we have not faced any major obstacles yet. We are moving forward step-by-step and trying to turn challenges into opportunities. The toughest step is to be open to navigating the unknown; to give up job stability, to fully dedicate ourselves to our new venture. Once we made that decision, we knew we would do everything necessary to overcome future hurdles. So far, I can say the journey is exciting! In what way have you used the EDHEC Alumni network? I was in contact with EDHEC graduates via the school's social network, which is a great and easy way to create connections. To raise awareness and gain support, I sent our crowdfunding campaign to the Alumni EDHEC network. I would really love the EDHEC graduates to share our project with their network and to get in touch if they have any questions. I would also be very happy to meet other graduates with different skills and backgrounds to discuss the project. All this is a real source of mutual enrichment!